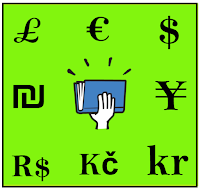 Smashwords today introduced Global Pricing Control, a new feature that gives authors and publishers control over their ebook pricing in 246 different countries and in 152 local currencies. Pricing control is now in your hands, where it belongs. If you're running a BookBub ad where you need your book priced at $.99 in Australia, Canada, and the US, and ‎£ .99 Pound Sterling in the UK and 99 Rupees in India, you can now lock down these special prices with with a few clicks. If you want your ebook priced at € 5.99 Euro in Germany and € 2.99 Euro in Spain, Italy and Portugal (where the median per capita income for each of these last three is less than half of Germany's), you now have the freedom to price for a specific market. The new feature is available now from your Smashwords Dashboard. Click to Global pricing to set custom prices for any country. When you enter a custom price, the screen will display the USD equivalent as a reference point. Click the lock icon to lock the price in. Once a lock is activated, the lock icon turns green and the custom price is transmitted to retailers. You'll see a summary of your locked prices in the right hand panel. Your custom prices will remain locked until you unlock them. Prior to this new feature, Smashwords set foreign currency pricing automatically by converting the author’s US Dollar price to other currencies based on foreign exchange rates on the date of the author’s upload or most recent update. For authors who choose not to lock in custom global pricing, Smashwords will continue to set global prices based on current exchange rates. Global pricing control is helpful for authors who have to deal with Amazon's draconian price match emails when Amazon's own pricing gets out of sync with actual exchange rates. The new feature is also boon for authors who want to sculpt their pricing to appear more appealing to customers in each local market. Most authors will probably opt to set pricing that ends in .99 increments in the largest markets. According to psychological pricing theory, a price ending in .99 is more appealing to consumers than a price a couple cents higher. This is also known as "charm pricing." The theory holds that 4.99 is significantly more appealing than 5.01 because most consumers will consider a 4.99 ebook within the $4.00 price range and the 5.01 book within the $5.00 range. 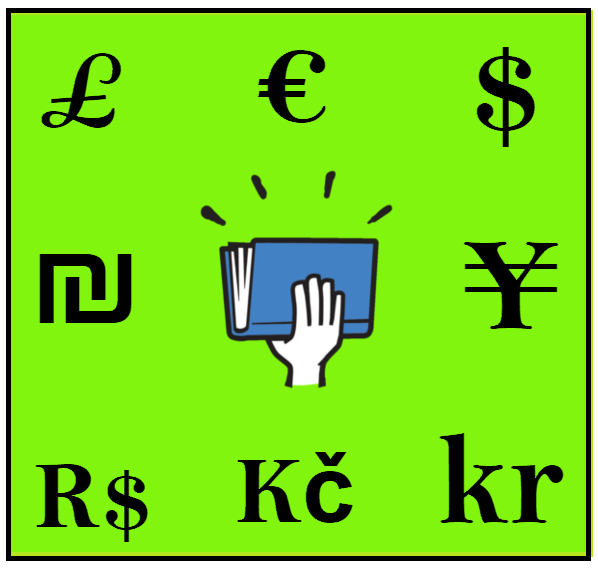 For countries where different Smashwords retailers or library sales outlets price in different currencies, you can lock down multiple prices in multiple currencies. For example, Kobo and Gardners both sell ebooks in Australia, but Kobo prices in Australian dollars (AUD) while Gardners prices in British pounds (GBP). In this instance, you could set custom prices in both currencies for Australia. As a customer I'm, not happy with this new revelation. I saw it all on Steam with games, this is usually used to set prices higher for all markets outside USA. I mean the horrible pricing methods of 1$ = 1€ = 1 GBP, just because people behind the prices simply don't care for exchange rates. This particularly hits eastern countries in EU, where they get prices like for Germany, but people earn 4x less than Germans (I live in such country). Mostly everyone is happy when a store has a single global price on each product. There is no confusion or jealousy that some people can pay less. This leads to using VPNs in order to buy in cheaper countries, which in turn leads to geoblocking and lack of availability of some products in certain areas. Overall, regional pricing is a bad thing from a customer perspective. May I suggest that you create one entry for all of the eurozone (and all the GBP zones, if possible), just to make things a little bit easier for people who want to set them all the same? @unknown,thanks for the comment. Your concerns are valid, though they seem somewhat contradictory. On one hand, you mention how, for example, the median income is different in different Eurozone countries, which means the relative price of a product priced the same everywhere can feel 4X more expensive to a consumer in a lower-income country than a higher-income country. This is a point I made in the post above - authors now have the opportunity to make local pricing decisions based on relative affordability. This would be an argument for local pricing. Yet in the second part of your comment you argue for unified pricing because some customers will use VPNs to access lower prices in other countries. In your experience, does the geoblocking and lack of availability to which you refer apply only to traditionally published ebooks? I'm not aware of any indie authors who try to limit their geographic distribution (except, of course, authors who publish exclusivity at Amazon). Since all our authors and publishers publish to all countries (with the rare exception of a few who've sold off certain international rights), I don't think you have to worry about local pricing leading to less availability of our books. @Joel, thanks for that suggestion. We'll consider that for future updates. Glad to here this. I like options even when I don't use them. Managing all these prices could be quite a hassle though. On the other hand, many of us would like to price our titles based on a country's median income. I know you've got a lot on your plate, but you might consider a pricing option that takes into account median income and offer than as a single-click option, making the German price more than that in India. You might also offer round up or down to X.99 as an option. Personally, I don't put much store in that myself. When I see $1.99 I think $2. Inkling, that's 2 of us! I never understood how people could be fooled with the .99 price point. We didn't have that in Italy before the Euro... Finnish people who got rid of 1 and 2cent Euro coins from the beginning were the smartest (but then, they're also the first country in the world with Universal Basic Income... maybe I should move there, LOL!)! Inkling and creativebarbwire, that's probably why they call psychological pricing (aka Charm Pricing) a "theory." It's not going to have the same effect on everyone. Indies now have hte freedom to apply or invent any approach they like. I wrote the first comment as unknown (for some reason my identity from google was not read, it seems this time it's the same - my nick is Cyber Killer, I post comments here from time to time), I just wanted to put into a single comment as much as possible hence it might have seemed my points are not clear enough. Here's again with better separation. Note that most of these issues are problems because people are people, not much can be done from the technical side to fix them. They all popped up on Steam, as that's the more or less the pioneer digital entertainment sales platform. 1. IMO only 1 price for everybody globally is universally fair, anything else leads to problems. 2. Regional pricing tends to set higher prices for Europe than USA, as a lot of people have a fake notion that 1$ is worth the same as 1€ (in reality 1€ is about 1,3$ depending on the exchange rate). 3. The economy is not that same in the whole of EU, with eastern countries getting a lot less pay than the western ones. Yet no one seems to care about this, and give the same (higher than USA, vide point 2) price for the whole EU. If there is any point of trying to be fair with regional pricing, it should be reflected in this case, but very rarely is, vide the comment from Josh, who asks for a single price for the whole EU. These were my points, I hope they are more clear now. Overall, nobody wins with regional pricing, the customers are alienated from one another and/or frustrated due to unfair prices (especially people living in a high price country near the border of a cheap one can feel this); the sellers need to get their head around exchange rates, economy in different areas, various tax differences; and finally the platform has costs of implementing everything and potentially trying to keep the customers from cheating the system. I cannot convince you to drop the idea, since you already put it in place. However I was happy (even living in a low income country) to buy ebooks from Smashwords for 2-5$, and knowing that everybody else could do exactly the same. I have always been asking for this feature and you were promising it every time. At last it has come. I just tried it out. It is just fantastic and well thought of. I think it is way ahead of what amazon is supporting. Congratulations! But probably most authors would find it a bit difficult to make use of its full capability... So many combinations and choices! I have a request. Could you add some more countries to the "Top Countries and Currencies"? Specifically, it would be helpful to have all of the countries listed that Amazon has a Kindle store in, as one of the uses of this kind of control over pricing is to keep Amazon from price matching to a lower price that they find on another online store. So the countries that I would like you to add are Spain, Mexico, Japan and Brazil. Right now, I would have to scroll through that big long list to lock in the prices on these countries. I will also add my vote for a single entry to set the price in a particular currency in every country where it applies. It would be nice to say, set all prices in Euros to one amount with a single entry, as suggested above on another comment. I agree hugely with Nirmala: being able to check the Zon Empire prices I've set for books, versus the equivalent ones for Smashwords, would be very useful! CyberKiller, if it helps, I intend to putter through my books, comparing prices to the ones the Zon Empire has for them, and where currency conversion is lower, I'll just leave it alone. (And the Zon can price-match to that if they want to, I suppose.) But where the prices are currently higher, I intend to lower them to at least the ones on the Zon. I prefer to get income from a variety of sources, and Amazon doesn't "float" prices to match currency conversion; they're locked in at upload, or until you go in and mess with them. So I'm lowering some prices to keep them from having as much of an advantage (or rephrasing, to keep my books from being disadvantaged at other retailers). So some people will futz with the prices to maximize individual book profit, and some people will futz with prices to maximize appeal over multiple vendors. This idea can also be pretty well,if some African currencies like South Africa can be added to this system. If I sell only on Smashwords Library, which price my reader will see once setted custom price for Italy? On the Smashwords book page the price will appear in US or Euro? @Nirmala/Archangelbeth, great idea on Amazon's main countries up top. We'll add this in the next week or two. 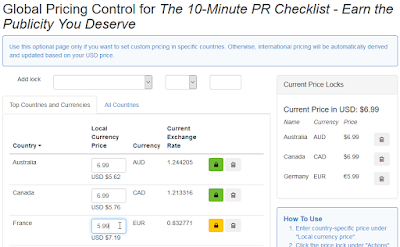 For changing by currency, the best solution now is to click to the Global Pricing Control screen, then click on All Countries then click Currency. That will alpha sort by currency which will line up all similar countries together. 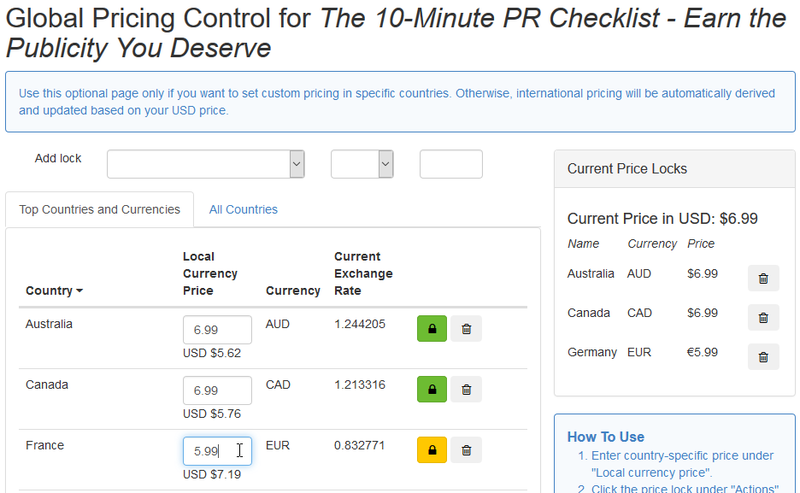 It's a few more clicks but still quick, and you can still set different prices in the same currency for different countries. @Vusimzi, you can control South African Rand pricing by clicking to Global Pricing/All Countries and scroll down to South Africa. @Sonia, custom currency settings in this Global Pricing Control tool will override any special library pricing you set in the Pricing Manager screen. If you set a custom price for a particular country, that will be the price we deliver to library platforms in those countries, assuming the library platform sells there and in that currency. We'll add a note on that page to clarify behavior. Thanks for the question.